Lutheran Hour Ministries was front and center in presenting its outreach tools to thousands of pastors and church leaders during February's Best Practices for Ministry Conference in Phoenix, Arizona. The conference serves as a place where ministries gather to share ideas, resources, and information that will help them grow. This year's conference began with a large mainstage session in which multiple experts briefly covered the topic of their choosing to a large and excited audience. Rev. Dr. Tony Cook, LHM's vice president of Global Ministries, discussed the findings from our joint project with Barna Group on Spiritual Conversations in the Digital Age and shared the resources that were produced and driven by this research. These resources include Project Connect's Sharing Jesus bundle, the upcoming novel from Don Everts titled The Reluctant Witness, and the Spiritual Conversation Curve found in our LHM Learn course, Prepared to Respond. LHM staff also presented during breakout sessions on several topics to boost like-minded ministries searching for outreach tools. Everts led a session about the Spiritual Conversation Curve, Rev. 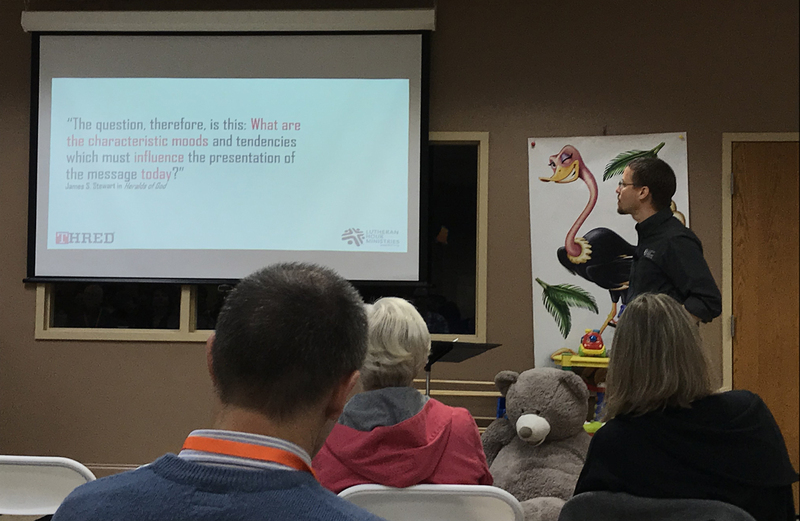 Dr. Jason Broge delved into the EAGER Conversationalist profile, and Cook led a breakout on Spiritually Vibrant Households. In addition, Everts and Rachel Legoute presented on "Witnessing to Nones and Dones," discussing ways in which THRED reaches those who have never been to church or those who have chosen to leave the organized church, and Legoute and Sarah Cooksey spoke on topics regarding social media audiences and fundraising. Between sessions, attendees intermingled between information booths to learn more about the represented ministries. LHM staff provided items such as bookmarks, prayer cards, and other outreach materials to anyone wanting to learn more about our mission. They also discussed our 2019 Barna research topic, Households of Faith, and offered the newly-released monograph on the topic to interested laypeople. "Many individuals approached our table with enthusiasm and praise towards our resources," says Broge, LHM's director of design and development for Global Ministries. "They were especially excited about the Spiritual Conversation Curve and the positive impact that our recently-released Gospel Adventures: Passport to Peru has on children across the country." Best Practices for Ministry takes place each February on the campus of Christ Lutheran Church and School in Phoenix (the conference is repeated in the fall in Indiana). Starting at around 400 attendees during its inaugural event in 2012, the conference has grown each year, this year reaching nearly 3,000 registrants to attend, present, and represent a wide variety of ministries. The three-day conference is full of breakout sessions, meals, mainstage presentations, and plenty of fun for attendees ... and it's free! The cost of hosting the conference and providing meals is covered by Christ Lutheran School's summer camp program, in which all proceeds are given to support Best Practices for Ministry.